Spring is here and not before long summer will be in full swing, providing numerous opportunities to pack up the car and hit the road for an epic family road trip. Whether you’re traveling across the country or just a few hours away, here are some travel tips to keep in mind as you plan your warmer weather vacations. 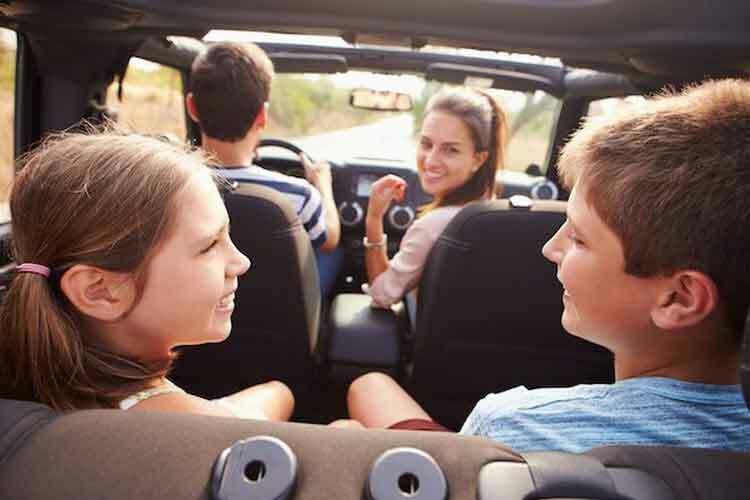 Here are some of the quality vacation safe driving tips for your safe road trip. Even when spring officially arrives, depending on where you live or are traveling to, there could still be a chance of a wintry mix of snow and ice. In the summer, severe storms can be especially dangerous as you’re traveling by car. Before you travel, always check the forecast and download weather apps like AccuWeather or NOAA. The weather can change unexpectedly, but keeping an eye on the skies with weather apps can help you make alternate plans if needed. Nothing feels more satisfying than hitting the open road after a long winter of snow and ice. Before you hit the road, always make an appointment to get a tune-up or at least have your trusted mechanic take a look to make sure everything is working properly. Winter weather can be rough on cars, so it’s best to make sure that your tires are in good shape, your brakes are working well, and all important fluids are topped off. Vehicle issues can happen at any time, but a visit to your mechanic may eliminate the chance of getting stranded due to a car problem. If you don’t have roadside services like AAA or OnStar, apps like Honk or Urgent.ly can be handy if you need to request roadside assistance. Spring and summer mark the start of road construction season in many parts of the country. Road construction projects are essential to improve and expand our roadways, but they can also cause more traffic congestion and increase the risk of an accident. Sometimes it’s impossible to avoid road construction, but apps like Waze can help you see where road construction projects are (as well as road conditions in real time) so that you can make alternate plans or take another route. Checking out a state’s Department of Transportation website, like 511, can give you all the info you need. When you’re on a road trip, whether it’s for the weekend or the week, it can be easy to over pack. Focus on the essentials such as weather appropriate clothing, an emergency kit for your car, charging cords, and some non-distracting things to do in the car. Don’t forget some healthy snacks and plenty of drinking water. Even if you plan on making several stops along the way, you don’t want to rely on rest stop vending machines or snacks from a gas station (assuming you come across one). Making stops at local restaurants and shops is a quintessential part of a road trip (don’t overlook the thought of supporting local). The website, Roadtrippers, can give you some inspiration for things to do and see. Today’s road trips rely heavily on being connected. While you should have a decent connection and service wherever you go, you should always plan for how you’ll get around if your apps aren’t working (stash a paper map in your glove box). For you and your family’s safety while on the road, the car accident lawyers at https://www.dsslaw.com/lawrenceville/car-accident-lawyer remind us to eliminate distractions while driving (such as texting and driving) to ensure you get to your destination safely.